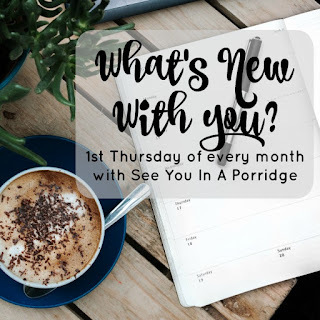 Linking up with Lauren & Bre to share things I've been loving lately. I am obsessed with these. SO good. They are like $3.50 for 3 which isn't bad but isn't great either, and eventually I'd like to try and 'make my own'/buy these things and mix them my damn self for cheaper. But until then, yum. KC mentioned watching this and we rarely watch things together so I thought sure, it has Darcy from the 2005 movie version, why not. Surprisingly really like it. We aren't really binge watchers, so 2 episodes a night every other night or so. It's all on Netflix and we are halfway through the 4th season I think. It's a wee bit gory in parts, sad in others, with a few funny parts sprinkled in rarely. Apparently has 75 billion Game of Thrones actors in it because KC will say 'he was in GoT' every bloody time someone appears. 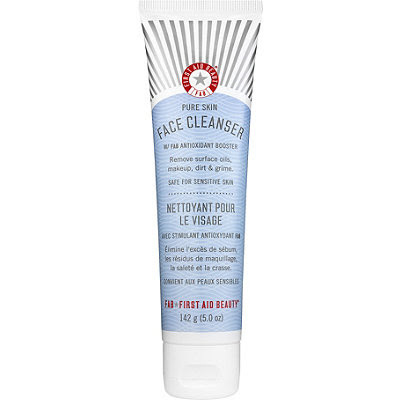 I've been using this cleanser for about 4 months - I originally bought a different one to use as my everyday and this one as my gym bag only (because it didn't have a pump) and I ended up scrapping the other one and buying several of these for home/gym/whatever. I just love the feel of it, the smell and how my face feels afterwards. My skin hasn't been super amazing since I started using it but only because of other factors (like testing other products that make me break out or eating lots of crap food) but I can just tell that my skin feels lovely and clean. It's more expensive than I'd like, but I wait for a sale/coupon code and buy a bunch. I linked to dermstore because that's where I got it, but you can get it at ulta and sephora too. That's about it from me. Anything I need to add to my list? 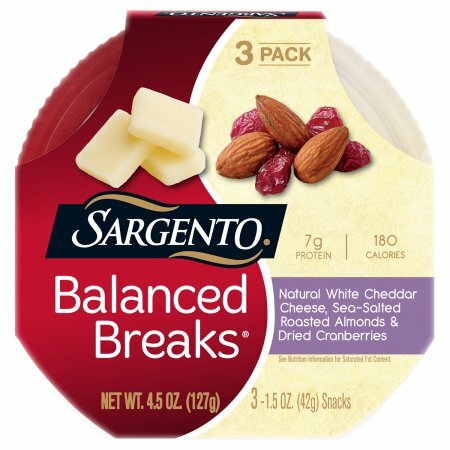 You sergento balanced breaks is my favorite snack. I make my own and it's delicious! I keep looking at those balanced breaks but never actually buy them. I'll grab one next time I'm at the store! those balanced break snacks look awesome...i bring pieces of cheese and nuts to work as well. Those little snack packs are the best! 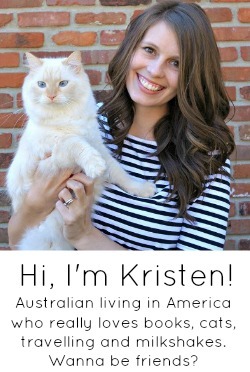 I should probably also make my own, but it's just too easy to buy them. I agree with the Balanced Breaks but I can't always find them! And I need new face soap but I'm so cheap but I only get one face so I should just spend the money, right? Adding it to my wishlist... we'll see if I actually follow through. Ripper Street sounds interesting... 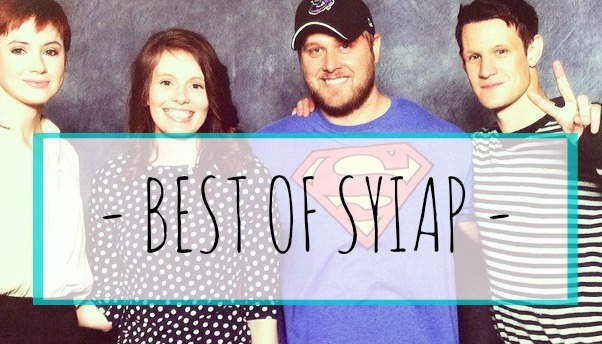 I always end up getting my tv show recommendations from you, lol! You can totally DIY the balanced breaks! I have seen those balanced breaks in store and wondered about them so I'm glad you reviewed them! My afternoon snack looks similar to that (but the DIY version), but I might need to try those just for new flavor combo inspo. Thanks for the show rec, too! When you say "a wee bit gory" ...how would you rate this series if it were a movie? PG? PG-13? R? Always looking for shows I can watch with the family! The balanced breaks sound really good, sometimes I think stuff like that is worth paying a little bit more for the convenience of it. 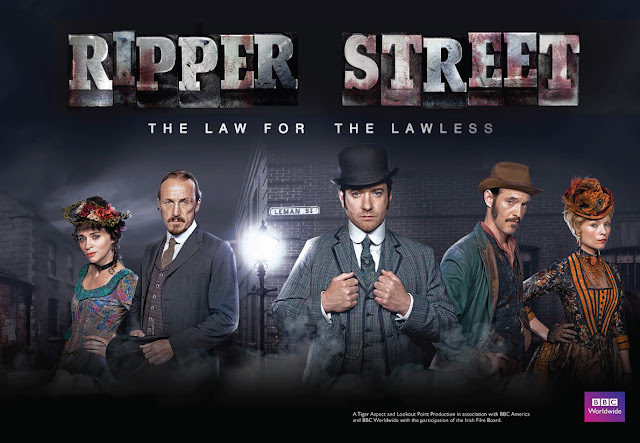 We watched an episode or two of Ripper Street a while ago but then forgot about it for whatever reason, but this has made me want to try out watching it again. You always recommend the best shows - I'll have to check that out. I love those little snack packs too - some good vegetarian options that i can toss in my purse for emergencies. I already recognize a few of the actors from Ripper Street as being from GOT. I had never actually heard of this show, but it sounds interesting, and I think that I'd actually end up watching it purely because I love the actor that played Darcy in the most recent P&P movie. Sephora is about to have their semi-annual sale in April, so you should totally stock up on that cleanser when that happens. I think that you just have to be a VIB member and then you'll get like 15% off. I always wait and stock up on my cleansers and moisturizers in April and November because the sale is just too good to pass up. I have not tried Balanced Breaks but they look delicious! And good for you. I'm terrible about snacks and always end up eating something bad. Boo! Ripper Street looks really good. I need to check it out! I looooove those Balanced Break things! Have you checked if your Costco has them? That's where we buy ours, it's like $8.99 for a pack of 12. Those Balanced Breaks sound great! Sometimes convenience just wins out so I totally understand! I always see those Balanced Breaks at the store and think that I could make them myself for cheaper but then I never do... So I should probably just buy one already! Those Sargento things sound YUM! Yes, it's cheaper to do it yourself but if you're eating healthy and sacrificing money but saving time aka lazy I think it's worth it! Ohh those balanced breaks looks so yummy! I need this in my life! I want to try the Balanced Breaks. I like the P3 Protein packs. The price is about the same as three of the balanced breaks, so it would still be chaper to just make them at home, but they are still great if you want an impulse snack. Ooooh I think I need to try that face cleanser! I live under a rock so thank you for the suggestions! My officemate at work likes those Balanced Breaks things (or some version like it). I may have to check them out! Those balanced breaks will be perfect as on the go snacks when we're in the US this year! Assuming they're gluten free... which they should be?!?!! I got a coupon for those Balanced Breaks so I want to get them at the store this weekend! I might have to look for that facewash too! And I need to try that cleanser - heard great things about the brand! Ooh, those balanced breaks look really good! I have been eating Sargento gouda mini sticks lately and loving them! I cannot tell you how obsessed I am with those Balanced Breaks things -I buy them every week at the grocery store (2 packs of 3) and plow through them. Such an awesome idea and a GREAT (Healthy) snack to bring to work. I've been looking for some new decent face wash so I might give that stuff a try! I've heard good things about First Aid Beauty but just haven't been able to pull the trigger on it! I feel the same about snack things, I know I could make it cheaper but if I need it, I'm always glad it's there as a healthy option. I haven't seen Ripper Street, surprised it hasn't come up on Recommended for You because John would love that. I'll have to find it. i need to try out that cleanser. forty-four-year-old skin could use some help, i think.